The market for SD-WAN is rapidly shifting. What once was a model for WAN connectivity is now becoming much more. In this presentation the essential requirements that enterprises are demanding are reviewed and how the role of a multi-tenant SD-WAN portal is instrumental to meet these needs. The presentation then talks about the different SD-WAN deployment models and how a managed service makes sense for many enterprises. The presentation then discusses the importance of having a single, seamless end-to-end governance model in order to offer the required level visibility, control, and orchestration to serve the needs of the modern enterprise for security, and peripheral value added services. 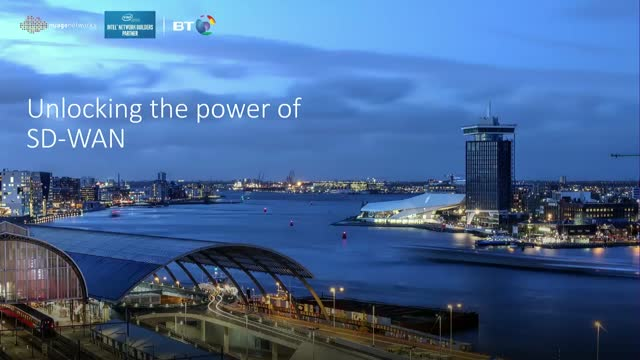 Join British Telecommunications, Nuage Networks, and Intel to discover how to accomplish this network transformation with their Agile Connect SD-WAN service offering.